Along with Russian constructivism and surrealism, Dada stands as one of the three most significant movements of the historical avant-garde. Born in the heart of Europe in the midst of World War I, Dada displayed a raucous skepticism about accepted values. Its embrace of new materials, of collage and assemblage techniques, of the designation of manufactured objects as art objects as well as its interest in performance, sound poetry, and manifestos fundamentally shaped the terms of modern art practice and created an abiding legacy for postwar art. Yet, while the word Dada has common currency, few know much about Dada art itself. In contrast to other key avant-garde movements, there has never been a major American exhibition that explores Dada specifically in broad view. Dada--the catalogue to the exhibition on view in 2006 at the National Gallery of Art in Washington and The Museum of Modern Art in New York presents the hybrid forms of Dada art through an examination of city centers where Dada emerged: Zürich, Berlin, Cologne, Hannover, New York, and Paris. Covered here are works by some 40 artists made in the period from circa 1916, when the Cabaret Voltaire was founded in Zürich, to 1926, by which time most of the Dada groups had dispersed or significantly transformed. The city sections bring together painting, sculpture, photography, collage, photomontage, prints and graphic work. 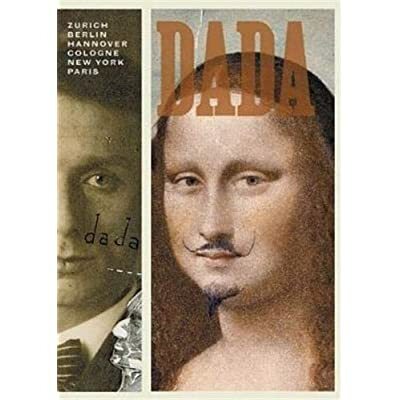 Relying on dynamic design and vivid documentary images, Dada takes us through these six cities via topical essays and extensive plate sections; an illustrated chronology of the movement; witty chronicles of events in each city center; a selected bibliography; and biographies of each artist--accompanied by Dada-era photographs. Over 300 works by 40 artists including Tristan Tzara, Hans Arp, Sophie Taeuber, Hans Richter, Hannah Höch, Raoul Hausmann, George Grosz, John Heartfield, Kurt Schwitters, Max Ernst, Francis Picabia, Man Ray, and Marcel Duchamp. Edited by Leah Dickerman. Essays by Brigid Doherty, Sabine T. Kriebel, Dorothea Dietrich, Michael R. Taylor, Janine Mileaf and Matthew S. Witkovsky. Foreword by Earl A. Powell III. Hardcover, 8 x 12 in./432 pgs / 400 color and 150 b&w.